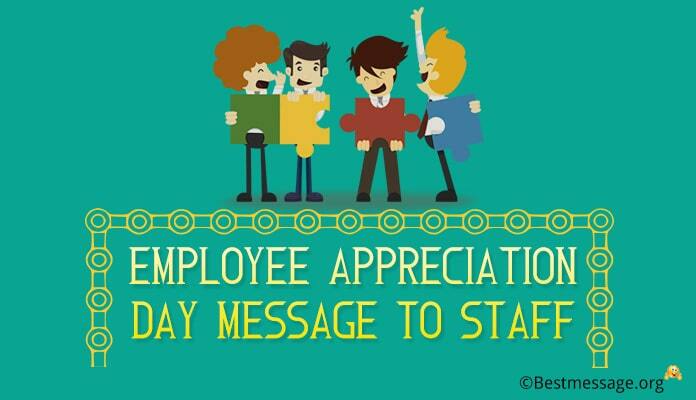 For a company, the staff is like a second family. And Diwali is one such time when as the owner of the company you feel the responsibility of illuminating the lives of your employees with presents and beautiful quotes wishing them and their families a very Happy Diwali. It is a thoughtful gesture and make sure you send your warm wishes to them without fail. 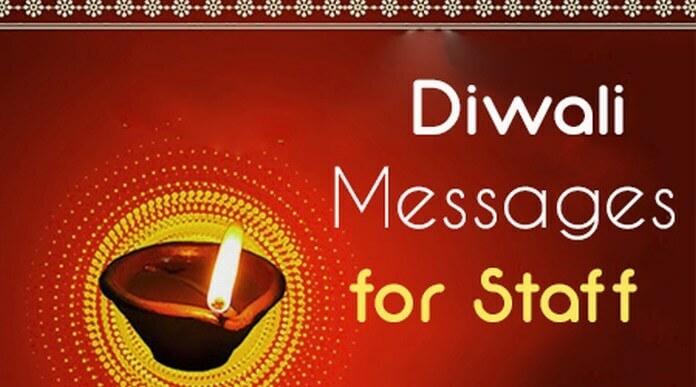 Here are a few sample text messages given below which are the best way to send best wishes on Diwali to your staff. 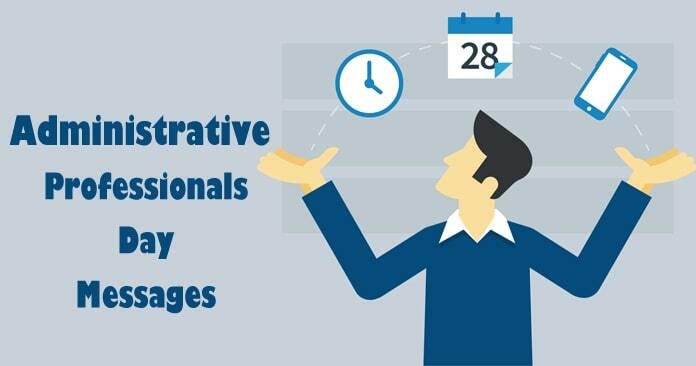 Use these sweet greeting examples to brighten the lives of your employees. 1). May the auspicious occasion of Diwali bring along many new opportunities for you to grow….. Wishing a very Happy Diwali to you and your family. 2). Wishing you and your family a very Happy and Prosperous Diwali…. May this festive occasion fill your life with new hopes, great health and success…. Have a wonderful time!!! 3). May the brightness and happiness of Diwali spread in your life eternal joy, prosperity and success…. Wishing you another wonderful year…. Wishing you and your loved ones Happy Diwali. 4). 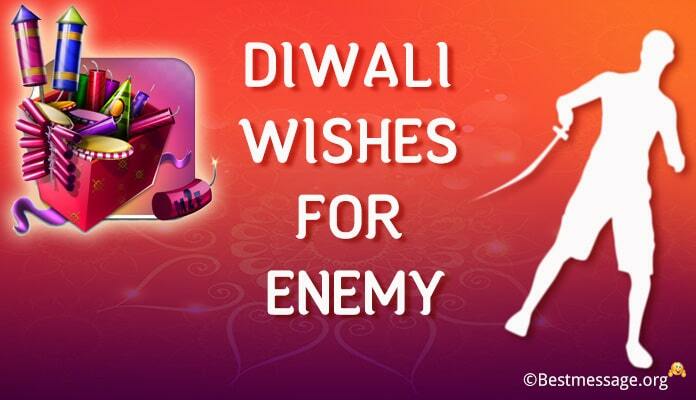 This Diwali may you get blessed with wisdom like Lord Ganesha and prosperity like Lord Laxmi. Here is wishing you and your family and safe and Happy Diwali and a prosperous New Year. 5). May your life get filled with the warm and splendor of the festival of lights. Heartfelt Diwali wishes to you and your family. May you get blessed with prosperity, happiness and health. 6). 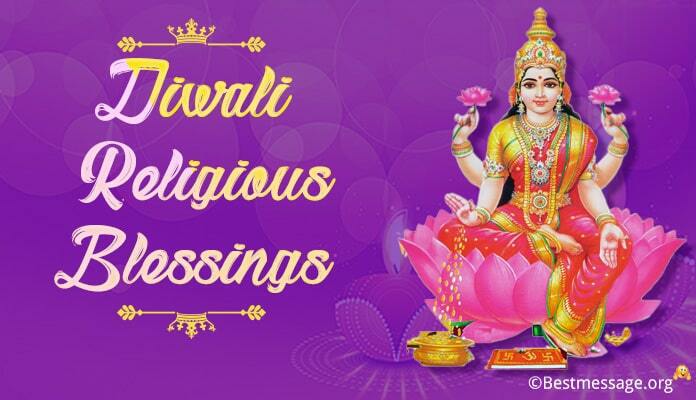 May your life is filled with brightness of Diyas and divine echoes of chants… glory and prosperity…. Happiness and health… success and positivity… Wishing you and your family a very Happy and Prosperous Diwali. May you have an amazing time with your loved ones. 7). May you and your loved ones are always surrounded with joy, cheer, happiness, mirth and merriment of this beautiful festival of lights. May the warmth of celebrations always brighten your life with good fortune and vigor. Warm wishes to you on Deepavali. Happy Diwali to you. 8). May the divine light of Deepavali, add new spark and energy to your life….spread into your Life peace, prosperity, happiness and good health… bring new opportunities for you to grow and prosper. Wishing you and your family a wonderful and Happy Diwali. May God bless you. 9). 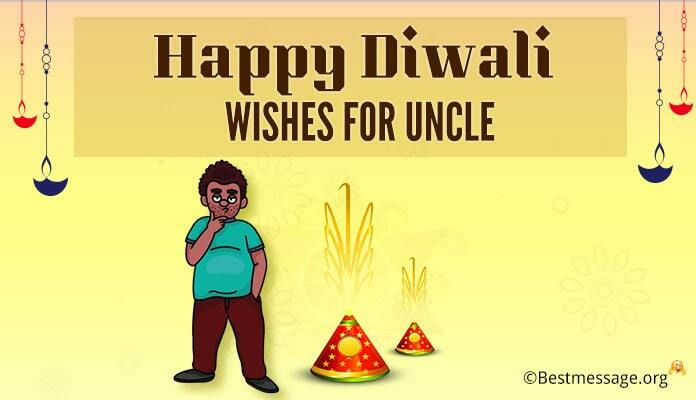 Diwali is a special time to spend with family, relatives and friends…. To have fun, merriment and enjoyment…. To share laughter and moments of togetherness that make beautiful memories in future… Warm wishes to you on Diwali as Lord Ganesha and Goddess Laxmi bless you!!!! 10). May the glow of joy, success, happiness and opportunities bring beautiful times in your life… May your home illuminates with divine lights of Diwali… May you are blessed with good and happy times with your near and dear ones. Best wishes on Diwali to you. Have a good time!!! 11). Wishing you and your family a very Happy Diwali and a prosperous New Year. May almighty shower his blessings on you and fill your life with happiness, health, wealth and success. 12). Good wishes for a fun-filled Diwali. May you and your family prosper with the blessings of Lord Ganesha and Laxmi. May you enjoy a successful, joyous and healthy year. 13). May the festival of lights bring new hope and high spirits. Warm Diwali wishes to you and your family. May you enjoy prosperity, wisdom, health and happiness for the years to come. 14). Our Diwali celebrations are incomplete without our staff members… We wish you all a cheerful, memorable and blessed occasion of Diwali… May you have a successful and joyous year ahead.